Christina Agapakis explores the microbiological matrix that binds everything from pecorino to people. Cheese from the Selfmade project. This is part of our investigation into synthetic biology and bioengineering. For more, download the new BioCoder Fall 2014 issue here. Good luck trying to jam Christina Agapakis into any kind of vocational box. Her CV cites disparate accomplishments as a scientist, writer, and artist — and teacher. Imparting highly technical information in a compelling, even revelatory way seems part of, well, her DNA. She can’t not do it. Moreover, her career arc represents a syncretic impulse that characterizes her general outlook on life. Agapakis is first and foremost a synthetic biologist and a microbiologist, but she’s not particularly happy with the way the synthetic biology narrative has played out. She thinks biocoding is inadequately explained by its practitioners and deeply misunderstood by the lay public, raising excessive expectations and misunderstandings about what synthetic biology can do. The discipline’s message would be better communicated, she believes, if metaphors grounded in biology rather than computers were employed. The real story, Agapakis avers, is about recognizing the profound connections between the microcosmos and the macro world, and understanding how the first augments the second. Her vocabulary reflects this perspective: she speaks of “working with” or perhaps “domesticating” bacteria rather “manipulating” them. Does she love microorganisms? You certainly get that sense. At the very least, she feels a deep bond with them. Indeed, the symbiotic relationships that manifest among organisms — including microorganisms — hold a particular fascination for Agapakis. While researching evolution and microbial ecology, she investigated the association between leguminous plants and nitrogen-fixing bacteria. Thanks to root nodules containing such bacteria, bean and pea plants and their cousins are able to obtain nitrogen from the atmosphere. This essential element allows the plants to build vascular tissue. One of agriculture’s Holy Grails is the development of cereal grains that can perform the same sleight. Such strains would boost agricultural profit margins, improve food security, reduce water pollution from fertilizer run-off, and slash greenhouse gas emissions due to both decreased employment of natural gas-based fertilizers and reduced tractor use. “Life really comes down to interactions, and it seems somehow arbitrary to establish margins.”For Agapakis, then, the compelling motivation behind her work isn’t just a profitable start-up or the development of fabulous new synbio processes. She emphasizes that the promise of biotech is often over-hyped, and focuses on bridging the gaps between the work that happens in the lab and the social, political, and economic realities enforced by new technologies. She cites her own early work as evidence for the necessity of such clarification. Agapakis worked for some time trying to maximize hydrogen production from bacteria. The concept of an endless, sustainable source of hydrogen — which produces only water vapor when burned — has long enraptured biotechnologists and climatologists sweltering in a greenhouse gas-swathed world. Research has focused on both photosynthetic bacteria that produce hydrogen through enzymatic reactions and fermentative bacteria that yield the gas anaerobically. In both cases, success has been less than stellar. Bacterial growth is limited either through destructive metabolic by-products or by high concentrations of the gas itself. Agapakis also has worked on introducing bacterial chloroplasts into mammalian cells. That’s pretty cool stuff no matter how you splice it; chloroplasts, after all, are the cellular engines responsible for photosynthesis. An excited and imaginative layperson might be forgiven for asking: does that mean human beings might someday derive their sustenance from sunlight alone? Could an hour of tanning on a Hawaiian beach substitute for a steak and baked potato (or a big bowl of vegan lentil soup)? In a word: no. Agapakis emphasizes that people aren’t kudzu vines. Compared to plants, our metabolisms are extreme. Your entire skin could glow green with chloroplasts, and you still wouldn’t meet a fraction of your energy needs. These days, Agapakis is spending much more of her time outside the laboratory. She teaches microbiology to designers at the Art Center College of Design, and she’s starting a new interdisciplinary magazine about the scientific process. But she still returns to the lab to work on projects that inform and teach. Her work blurs the line between science and art; and like the best of both, it can subvert the way we perceive the world. Case in point: human cheese. “We wanted to upset that metaphor of the biological sciences as an odorless, sterile, people-in-white-coats pursuit.”Agapakis has long been interested in the intersection between human cultures (in both the social and bacterial senses) and the all-subsuming microcosmos. And there’s no better place to observe this nexus, she observes, than cheese. Specifically, stinky, artisanal cheese. Many of the smelliest (and among epicures, most highly esteemed) cheeses support bacteria closely related to the microbes that cause human armpits and feet to reek. Which got Agapakis wondering: can you generate a better understanding of bacteria in general by demonstrating the close linkage between some of our most hoity-toity foods and the funky stench of unwashed bodies? So, in collaboration with artist Sissel Tolass and the support of Synthetic Aesthetics, an initiative supported by the University of Edinburg and Stanford University, Agapakis enlisted a group of artists, scientists, and cheesemakers. Or rather, the duo enlisted the microflora of a group of artists, scientists, and cheesemakers: they swabbed the noses, feet, hands, and armpits of their donors, then used the harvested bacteria as starter cultures for cheese. Their project, titled “Selfmade,” was part of the “Grow Your Own” installation at the Dublin Science Gallery in 2013. It was also a smashing success. 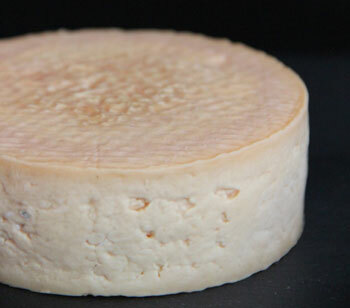 Agapakis and Tolass produced a variety of “uniquely smelling” cheeses from their donors, and generated a lot of buzz in the science and art communities in the process. The aromas are similar to those emanating from high-end food cheeses — and Agapakis emphasizes: these are cheeses for smelling, not eating. Responses were varied, which Agapakis takes as a sign of artistic success: the fact that the cultures were derived from human beings fascinated some people and engendered a bit of stomach-flipping in others. “The reaction can be very visceral,” Agapakis acknowledges with a laugh. Indeed, exposure to the cheese invariably leads to Soylent Green quips: “It’s people!” Agapakis notes that Michael Pollan, celebrated science and food writer and one of her bacteria donors, ruminated on the “cannibalistic” aspects of the cheese. But the real goal — demonstrating the microbial link between food and people (or rather, every living thing with every other living thing) — was achieved, Agapakis says.